The one-year National Parks On The Air program concluded in December 2016. It encouraged me to visit several National Park sites. Now the World Wide Fauna and Flora program can fill the gap as it covers National and State Park sites. The closest state park other than St Andrews State Park to me is Camp Helen. I have known about it for years but had made few visits. Sunday was my opportunity to visit and activate the site for WWFF. It is reference KFF-1845. Fortunately it was T-shirt weather in February. I am also beginning to renew my Rapid Deployment Amateur Radio (RaDAR) mindset. It is a program that adds motion to portable operating. The next RaDAR challenge is the first Saturday in April. The question of what site and what gear to use will be pondered right up to the event. First, I checked in with the Park Staff. It took a few minutes for them to grasp what I was doing. But once they did they made me and Suzy very welcome. I decided to get the ten required contacts for a WWFF-KFF activation at the first stop. I used The NVIS 40 meter dipole which is only nine feet off the ground. The central area of the park seems to have good elevation above the surrounding area. I am sure that was why it was picked way back when. All around the site offers access to the beach, lakes and many trails. I was fortunate to have many elements come together that help when I do activations and RaDAR. I worked several friends who chase me. 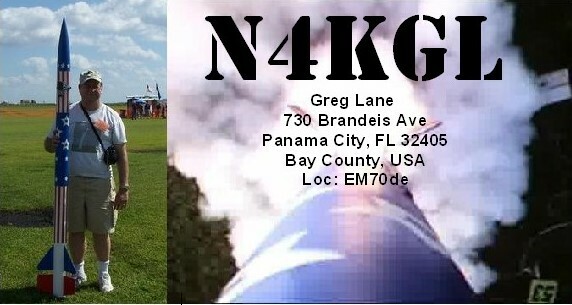 This included Mike KM4ELJ in Youngstown, FL, AK4JA Bobby in Georgia. He worked me on a tube QRP rig. Likewise, Tom WD0HBR in Dothan, Alabama. That is a motivation for 40 meter NVIS. It turns out at 11:30 or so it is usually the peak in the foF2 frequency. It was just just over 7 MHz. I worked Bob WB4BLX on 2 meters simplex with the aid of the Elk antenna. I also worked him on 40 CW. I have been getting into Amateur Satellites lately. I make the Sats part of my portable outings. Eddie ZS6BNE, the originator of RaDAR, made them a bonus for the RaDAR Challenge. I worked the 1 PM pass of SO 50. It had a 45 degree elevation. The central part of the park is open enough to have visibility of the pass. I heard my signal well on the duplex mode of the Kenwood TH-D72A. I got three contacts including XE1SEW DX. The second part of my outing was to walk and talk using the Elecraft KX2 and a loaded whip on 20 meters. This is also known as pedestrian mobile. I forgot the counterpoise initially and had an answer to a CQ without it. I was able to do hunt and pounce with success. I did not keep a good log. However, I did work the Virgin Islands and St. Martin. Those were a shot over the lake. There is a trail that follows the lake shoreline. I also worked the Maritime net on 14.300 and a Vermont station in the QSO party. The KX2 and whip are the most portable of my configurations. Suzy enjoyed the walk. I have to think the Camp Helen site would make a nice Field Day location. It has a variety of buildings as well as an open area. There is even a wooden water tower that offers some elevation for antennas. Oh just thinking! I any case, I hope to return to Camp Helen often and activate more of the Florida State Parks close by.